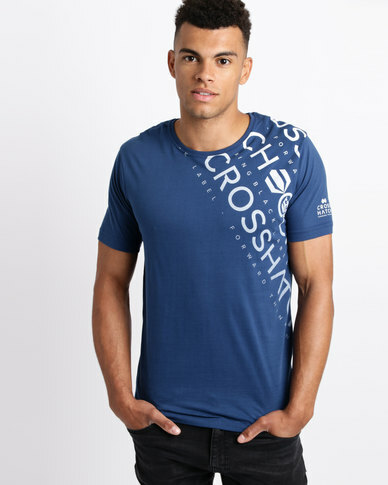 Advance your weekend look with the Crosshatch Fades Out Shoulder T-Shirt in this stunning estate blue shade. The tee has a slim fit with short sleeves and a logo print. Pair it with faded skinny jeans and white sneakers.